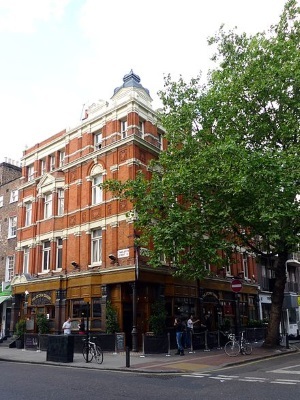 The Fitzroy Tavern in Fitzrovia, London, which has been skillfully restored to its former Victorian-era glory, will be recognised at an event open to the press taking place on 20 March at 1pm. The Fitzroy Tavern won the ‘refurbishment’ award after Samuel Smiths returned the pub to its 1897 guise, installing new partitions and wrought-iron pub signs. The surviving tiling has been sensitively restored and the new wallpaper and repo carpets are well-chosen. Winners from the other categories will be invited to the Fitzroy Tavern for the presentation, which include the Greenwood in Northolt, Middlesex – a historic high street landmark which has taken home the ‘conservation’ award. Still as much of a hub for the local community as it was in 1939, the fine, sympathetic conservation work executed at this pub shows how subtlety and respect can often achieve more than big-budget transformation. In addition, the Sail Loft in Greenwich has taken home the rarely-given ‘new build’ award for its tasteful display of modern design, setting a wonderful example of ‘how to do it well’ with floor-to-ceiling glazing, finishes of decent quality, a well-crafted island servery and very pleasant seating. A separate event will take place in Lancashire on 22 March at 2pm to congratulate the only winner outside of London – the Bowland Beer Hall in Clitheroe. This pub took home the ‘conversion to pub use’ award after it was splendidly converted from a former textile mill by local architect Charles Stanton. It now boasts the longest bar in Britain and is the centrepiece of a larger regeneration scheme, which already includes an impressive food hall showcasing regional produce and plans for a future gym and hotel.